Positive signs: Gas company GAIL’s Hazira terminal in Gujarat. Much of India’s new capital expenditure will flow into industrial projects such as gas pipelines, power generation and telecom. Mumbai: The capital expenditure plans of leading Indian firms will continue uninterrupted as the underlying demand in the economy is strong even though the growth in India’s gross domestic product (GDP) declined considerably, said a study of 11 industrial sectors by rating agency Crisil Ltd.
Indian companies, the Crisil study showed, will invest about Rs10.5 trillion in new projects in next three years and local banks are stepping in to offer credit. The impact of the current economic slowdown that started in early 2008 and intensified after the collapse of Wall Street investment bank Lehman Brothers Holdings Inc. is much less severe that what India had witnessed in late 1990s and early this century. In the past, between 1997-98 to 2002-03, private sector investment contracted in response to slowdown in economic growth. “However, based on our current assessment of over 500 projects and interactions with stakeholders across key sectors, we project a 7% CAGR (compounded annual growth rate) in investments between 2008-09 and 2011-12," the Crisil study said. This growth is far lower than the 30% CAGR witnessed in past three years but it is significant against the backdrop of the economic slowdown and credit crunch that gripped the world in 2008. Bulk of the funding for new capital expenditure (capex) by firms will be sourced from the banking channel unlike in the past when capex was driven by strong growth in demand along with easy availability of from many sources including external commercial borrowings, foreign currency convertible bonds and a booming primary equity market apart from bank funding. The Rs10.5 trillion investment in industrial projects in the next three years, though massive in scale, will be 25% less than what was indicated by firms at the time of announcing new projects. Also there will be industries that will hardly see any new capacities being built. For instance, the textile industry will see a “negative growth" and auto industry will see investments being scaled down, Mohta said. 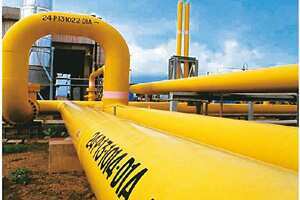 Much of the new capex will flow into gas pipeline projects which include city gas projects, power generation and telecom. While the capital investment is good news, there is no firm trend of demand growth as yet. A recent report by Sonal Varma, an analyst at Nomura Financial Advisory and Securities (India) Pte Ltd, said a higher net proportion of firms expect finished goods inventories to be above normal in the third quarter of 2009 compared with the second quarter. This suggests that demand remains muted. On the other hand, more firms expect a below average raw material inventory in third quarter of 2009. Typically lower inventory, the Nomura report said, “is a positive sign, as it suggests the possibility of higher production in the coming quarters if demand picks up". “Overall, while there are incipient signs that domestic demand is recovering, our interpretation of this survey is that firms remain very cautious right now," Varma said. In the past, a few Indian firms have announced a reduction in capex spends. Top utility vehicles and tractor maker Mahindra and Mahindra Ltd has reduced its spends in creating capacity in the local factories while JSW Steel Ltd has decided to cut spending in overseas operations. According to the Nomura report, while political stability brought about by the election of a stable government at the Centre augurs well for investments, any deterioration in the macro environment, and increasing fiscal deficit, would limit the government’s ability to spend and drag down investments.